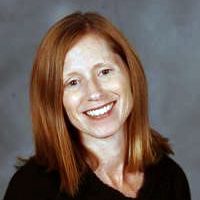 Annette Kratcoski is the director of the Research Center for Educational Technology (RCET). Prior to joining RCET in Fall 2000, Annette worked as a speech-language pathologist in clinical and school settings and also in special education and curriculum coordination in the public schools. She holds bachelors and masters degrees in special education and earned her Ph.D. from Kent State University in speech-language pathology and curriculum. Annette has an extensive background in curriculum and PreK-12 technology integration and for the past 12 years has led teacher professional development in the AT&T Classroom, a high-tech professional development and research laboratory housed within RCET.